PrabhasMyHero Blog: Why Prabhas did not win any 'popular' Film Awards? Why Prabhas did not win any 'popular' Film Awards? 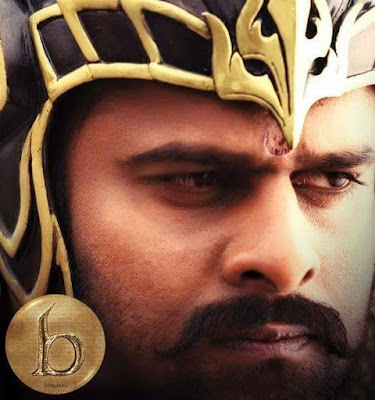 Millions across the globe, who were impressed with actor Prabhas' performance in "Bahubali: The Beginning," are surprised over him not winning the any award at SIIMA, Filmfare, Cinemaa and IIFA Utsavam. The organisers of SIIMA, Filmfare, Cinemaa and IIFA Utsavam Awards announced the winners list for 2016. "Bahubali: The Beginning" was nominated in maximum number of categories, while Prabhas' name featured in Best actor category of all these awards. While the movie won awards in various categories, the Rebel star's performance was not recognised by even one of these awards. Prabhas' performance in "Bahubali: The Beginning" has been lauded by critics and audience across the globe. However, many film goers got shocked over the actor not bagging single best actor award for it. Some of them even took to the social media and expressed their disappointment over the organisers of these awards. More surprising thing is that some of these awards had special or critics awards, for which there were no nominations and Allu Arjun was awarded Best Actor for a cameo role in "Rudhramadevi" (what a joke?). Many felt that Prabhas deserved at least one such award. But the insiders from the industry have a different say on this issue. Talking to International Business Times India, an expert says that Prabhas' shy nature has cost him these awards. "Awards are usually given only if star agreed to come to event. 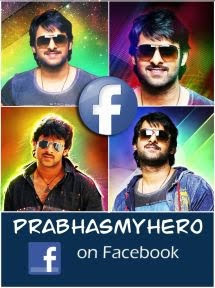 Prabhas is very shy by nature and prefers to stay out of limelight. Moreover he doesn't attend to any of the popular film award functions. That's why he is not being featured in awards winners list," the source told IBTimes India. Another source claim that award events have become trickier in recent years and having a good PR team might win Prabhas a few awards. "There is not much interest in award functions these days, as they have become predictable. On some occasions, they even change the winner in the last minute," the source told Deccan Chronicle. Acclaimed bollywood actor, Irrfan Khan has in a recent interview to the Hindustan Times has said he doesn't care for these awards as there is no sense in these awards and are also partial. "Awards can only mean something when they are genuine. I don't know how people even receive awards, when they know that they have exercised a kind of lobbying to win it" he said criticising the so called popular film awards. He also lambasted the actors indulging in lobbying saying, " How do they face themselves when they receive the Trophy. Don't they feel ashamed? " The above comments from a popular actor who also has a few Hollywood films to his credit cannot be discredited as just his personal opinion. It's no secret that many popular stars are indulging in lobbying to get the 'Best Actor" and other main awards to enhance their star rating. The organisers of these awards have also brought disrepute to these events by giving awards to totally undeserving actors. They have turned this whole event into a joke with crass commercialisation of these awards. 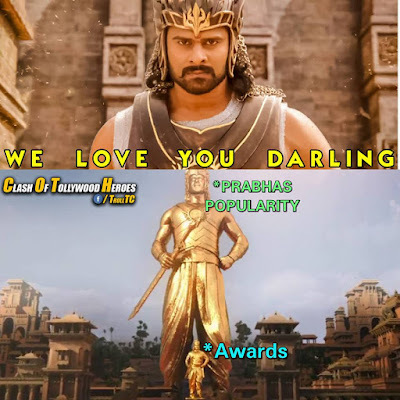 Fans of Prabhas, though disappointed with him not winning any of these awards, on the other hand are content that their Hero is one who stands by his principle and won't allow himself to be manipulated with the lure of awards. A few sham awards is not necessary for him to enhance his popularity, which has already crossed boundaries with Baahubali. 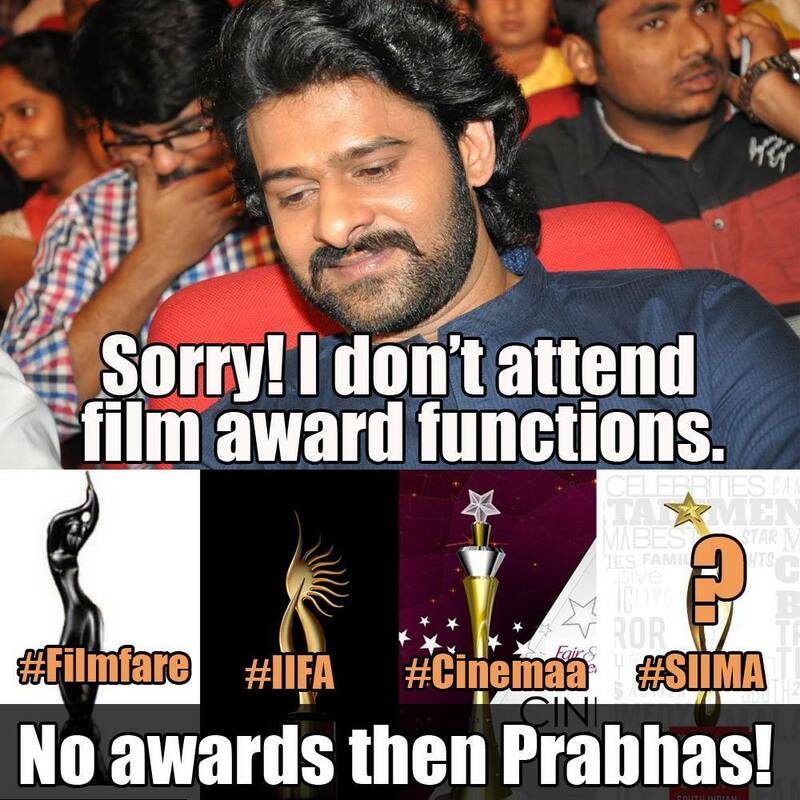 This meme perfectly sums up that Prabhas doesn't need any of these awards to enhance his fame. RIP IIFA, SIIMA, FILMFARE and CINEMAA.